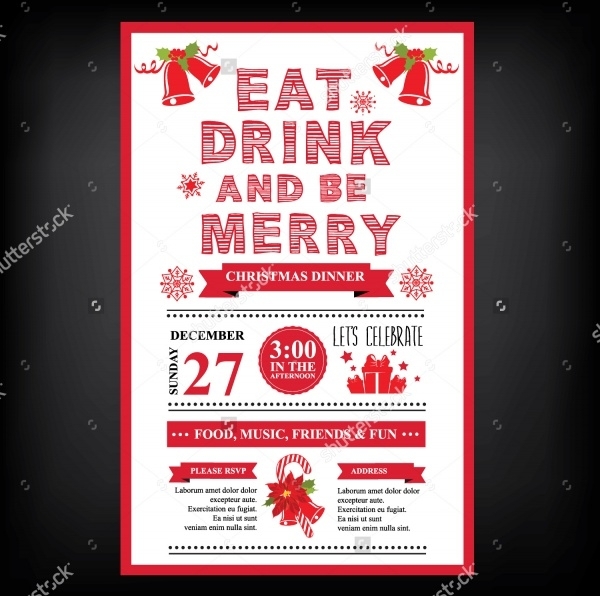 Inviting a friend or someone close to Christmas remains incomplete if you do not incorporate innovative in the card or online template. 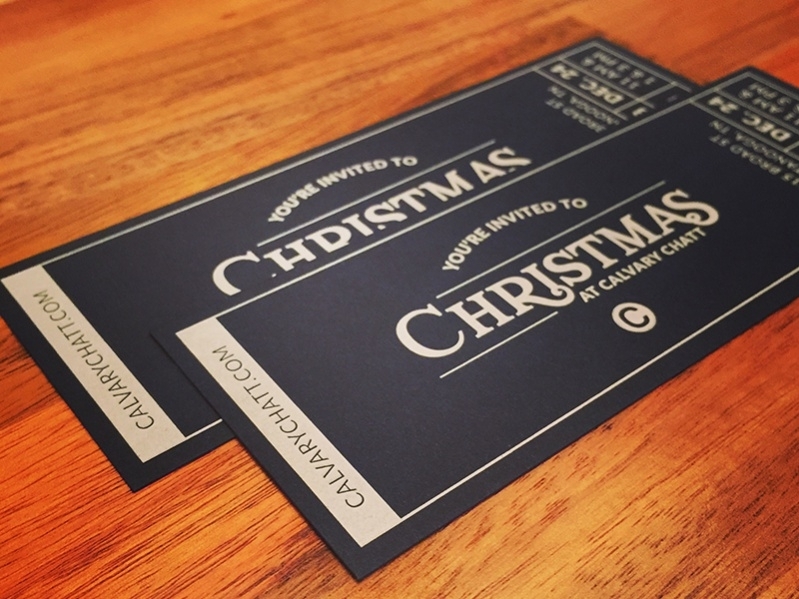 These days, online invitation cards are being extensively exchanges across the social media. 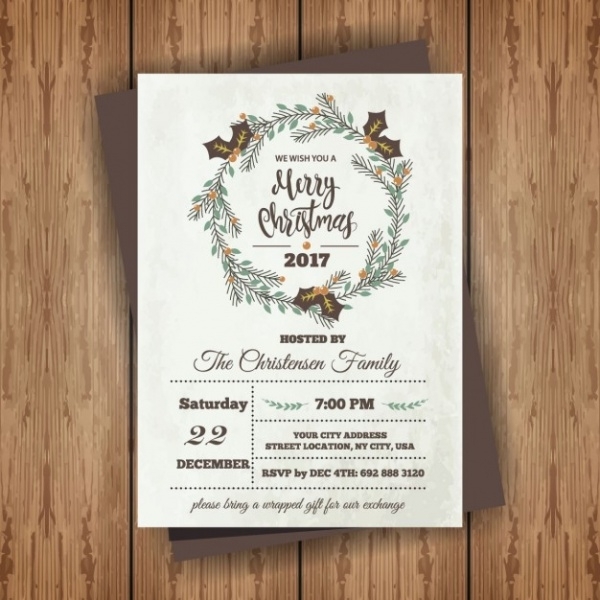 Well, innovativeness is the key behind these Christmas invitations and you try to break the old rules when it comes to designing. 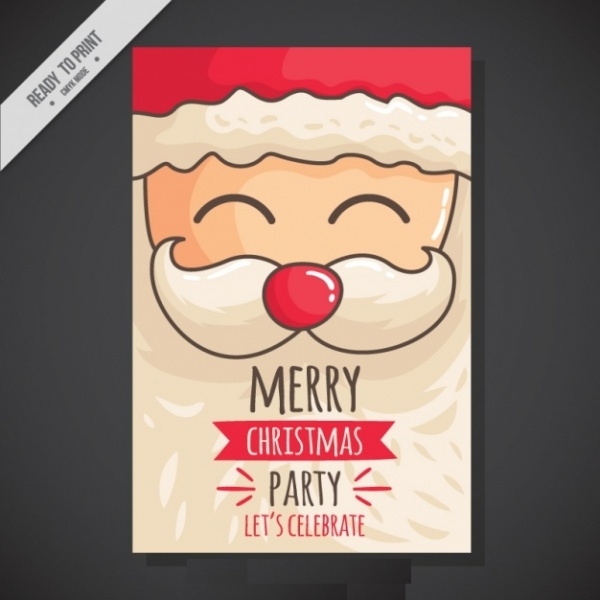 Here are fifteen templates for free printable Christmas party invitations for you to download. You can edit them before you print them and customize it for your purpose. This template has a smart look and the combination of green and white colors has made it pleasing to look at. 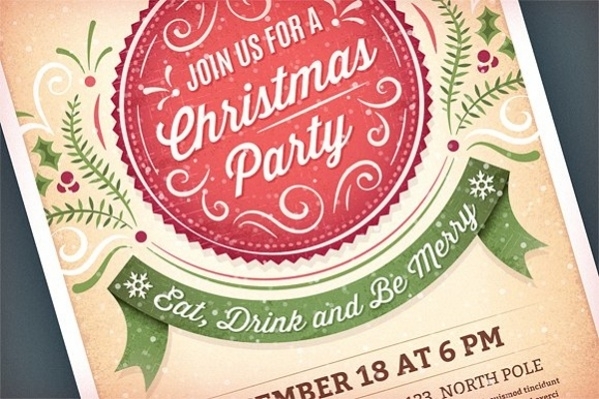 With the clear and bold font, it is a good invitation template for Christmas. You may also see Christmas Greeting Card Designs. 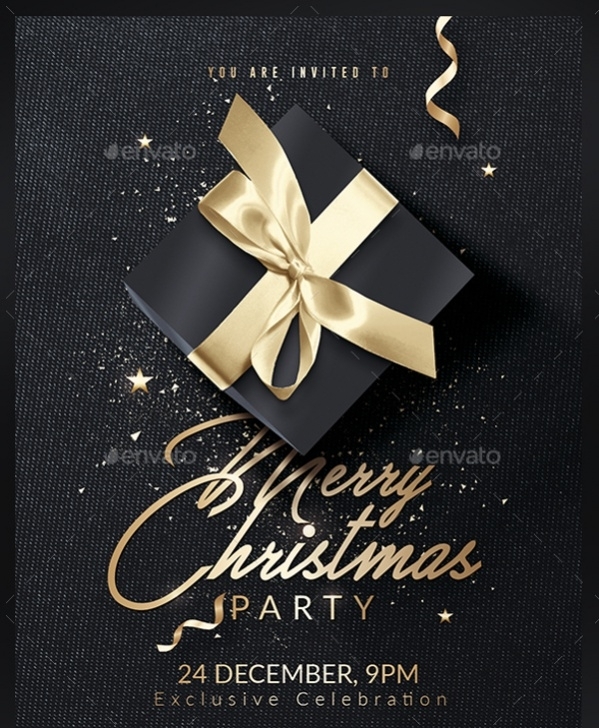 These invitation templates can be used in cards. 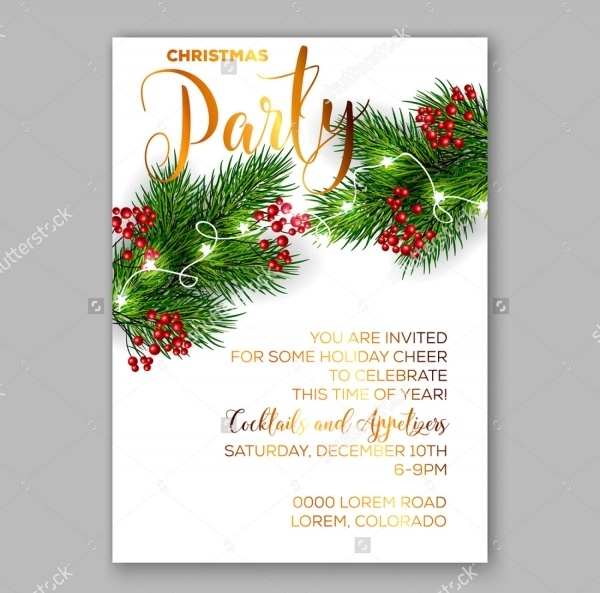 These are corporate Christmas party invitations and have an elegant attire. The deep red border complements the font color in the design. This template is inherent with a festive look. 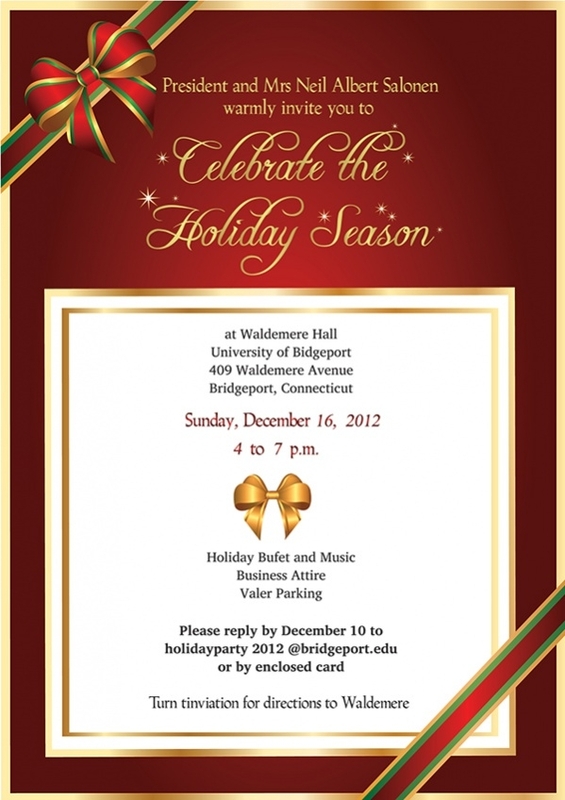 the card is dark red in color and the Christmas elements and balls in it make it even more beautiful. The message is written in the center. You may also see Christmas Cards. 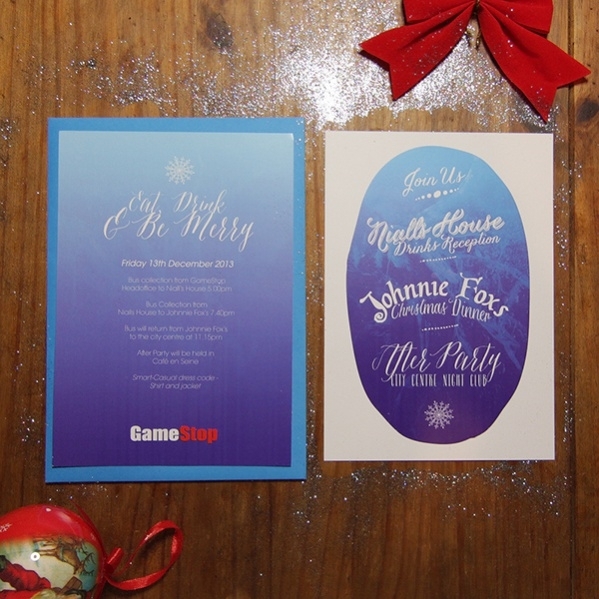 If your birthday falls around Christmas, you can craft a single combo card for both the occasions. This card has the message of the timings and venue, and Christmas elements like bells and gifts. 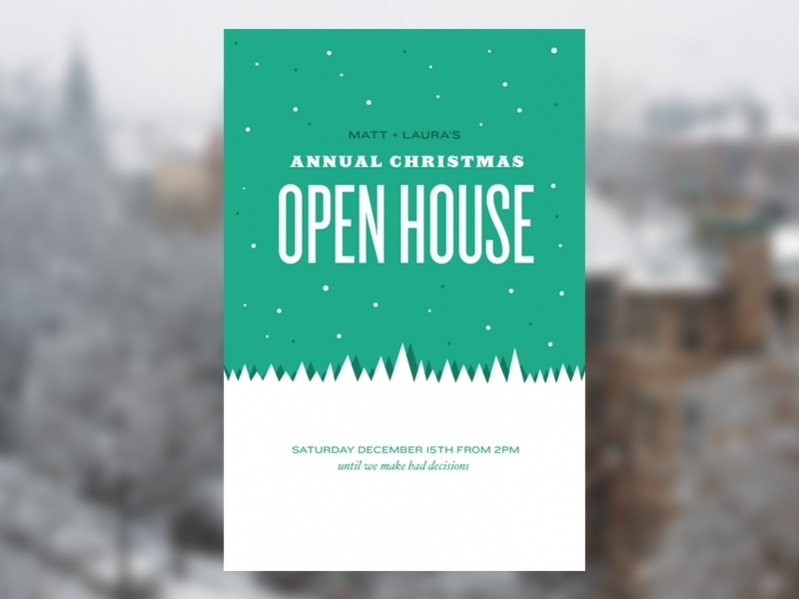 You may also see Funny Christmas Card Designs. This template has a hand-drawn picture of Santa Clause. The template can be downloaded from the website and used for personalized use. This design is simple and beautiful. 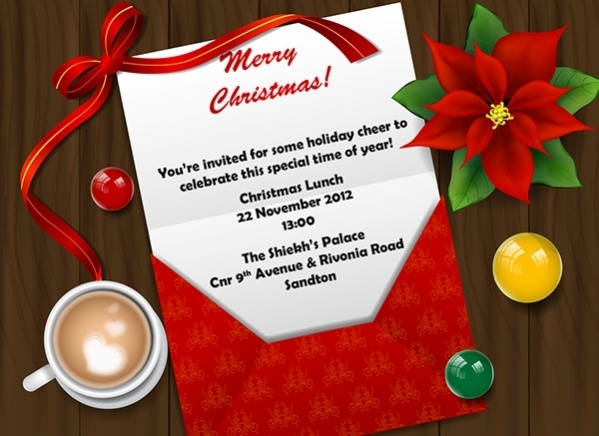 You can invite someone for the Christmas party with a message of winter. This design is based on a green sweater, with the message and timings written through the middle of the garment. The use of innovative decorative elements in the design makes it look beautiful. The red and white combination is ideal for the purpose. The message is written in a simple font in the center. This invitation card is based on a menu that is used in restaurants. There are a number of elements in it, including font variations and various colors. It conveys a cheerful message to the receiver. 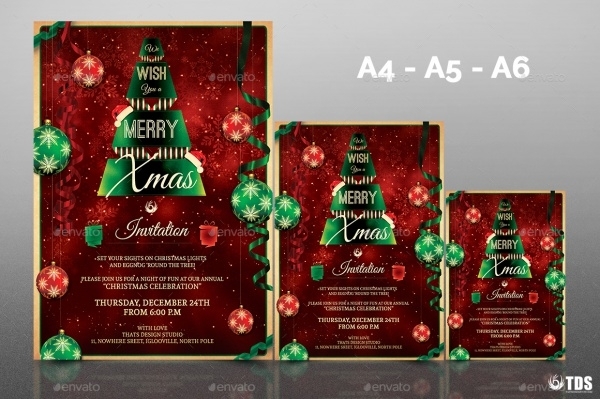 In this template, the festive ambiance of Christmas is the key element of attraction. The red and green colors go well for the purpose. You can edit and download these templates free of cost. 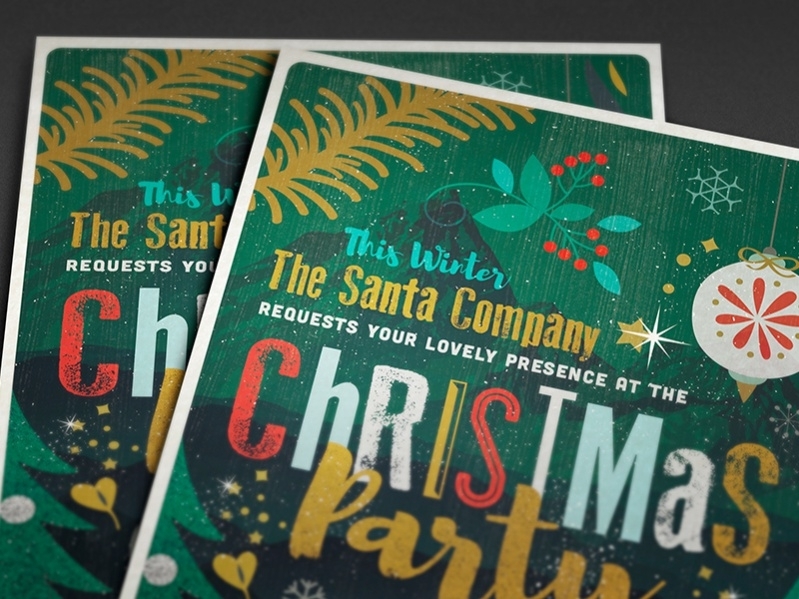 These Christmas invitation ideas are themed like a ticket. The template is rectangular and narrow. The black color of the card makes it look elegant. The font color is also perfect for the card. This design bears as an old-fashioned theme, with a few innovative elements in it. You can use this template in the invitation card to create an essence of antiquity and heritage. This invitation card has a modern mix of elements. The figure of the reindeer at the top delivers a festive mood. The bright color contrast is ideal for a cheerful and warm invitation. In this template, a pleasing combination of colors, leafy elements and fonts have been perfectly incorporated to make the design attractive. You can edit it as per your needs. A grand and classy look can make the festival live up to the best of enjoyment. 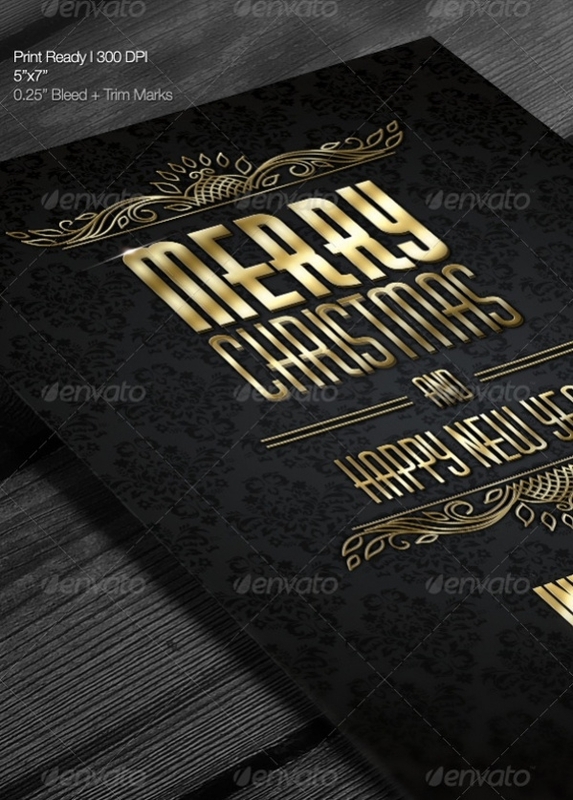 This card has golden fonts, incorporated over a dark background. 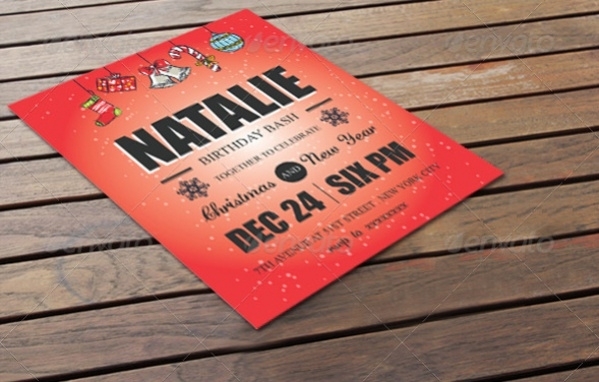 The fonts are bold and leave an impression on the background color. 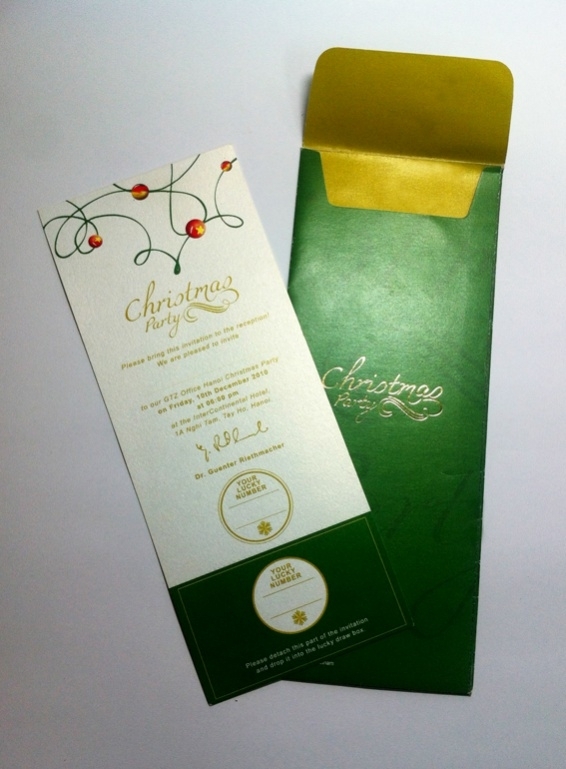 This invitation card is enriched with the taste of heritage. The limited use of graphics is the key feature of the card. The brown font color suits the occasion pretty well. 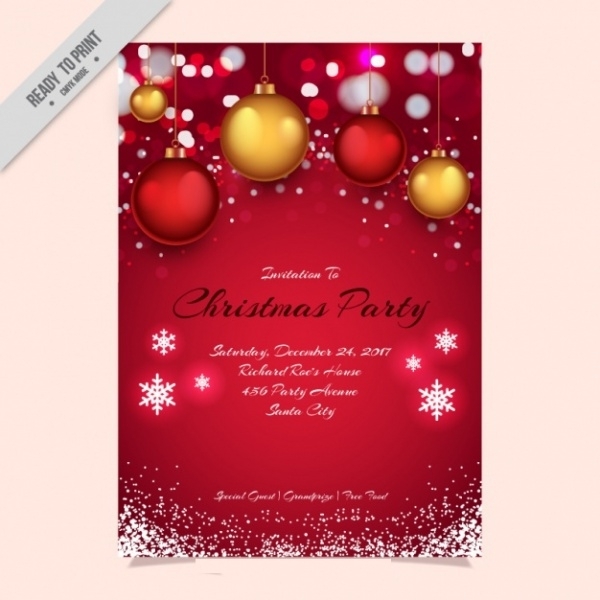 These templates for Christmas invitation are easy to incorporate. First of all, you need to go through the pages and look out for the designs you prefer. These are to be downloaded from the website and you can do the necessary editing before doing you download. For instance, you can specify the venue, time and other details in the card. If you want a traditional card, you can incorporate the print on a hard cover. You can edit and download them for free. These days the online invitations are in vogue. You can send these templates to your friends and share them on social media platforms. 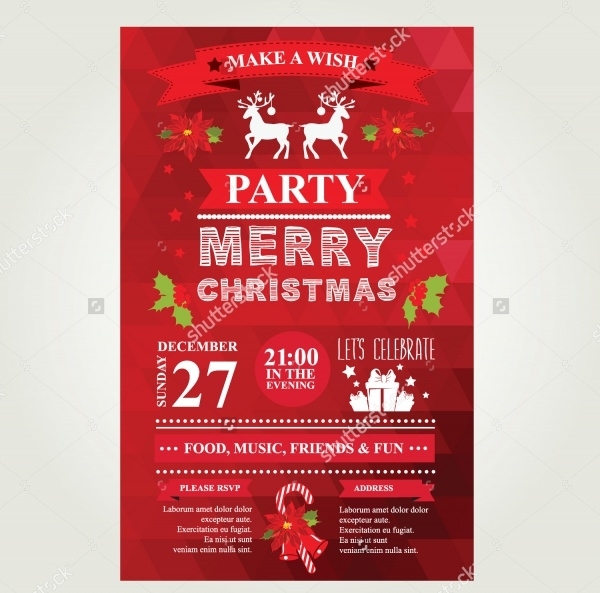 Browse through the website to get the themes you prefer and use them to invite your friends and relatives to the party. Be stylish, experimental and convey your message with warmth, using the designs. You may also see Christmas Drawings.